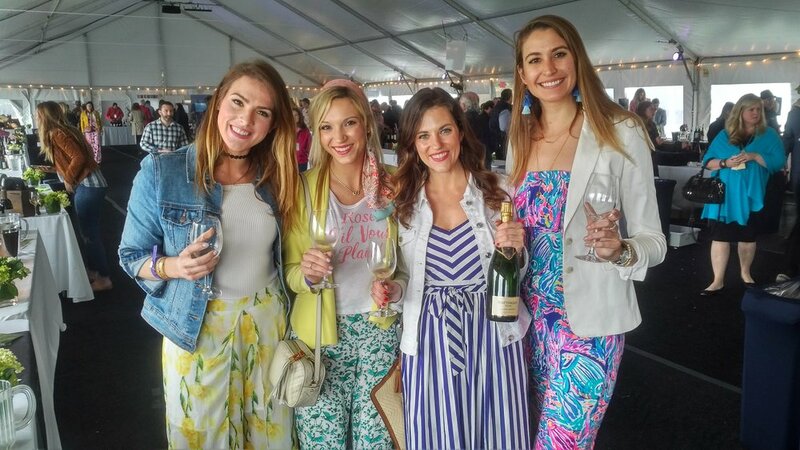 As part of our export drive with the USA as our primary focus, Hattingley Valley decided to attend one of the most prestigious wine and food festivals in the country on the incredible island of Nantucket. The island is home to the rich & famous of America, situated off Cape Cod, Massachusetts and has been the location for the Nantucket Food & Wine Festival for the past 22 years. The festival has gained a reputation as one of the most important food and wine events in the social calendar and attracts both high end consumers and also trade members. We were the first English winery to participate in the festival which will undoubtedly help to solidify our growing reputation stateside. We were lucky enough to be part of the luminary programme which meant that we were one of the focus producers alongside wineries such as Cos d’Estournel, Olivier Leflaive, Veuve Clicquot, Chateau Beaucastel to name a few. The festival runs a programme of events for the luminaries and includes events such as Rhone Valley Masterclasses, Champagne & Caviar tastings sessions all the way up to a $1250 Red Burgundy dinner! We were lucky enough to be there on the same day in which the Royal Wedding took place so a British Brunch was organised and sponsored by Hattingley Valley. Guests got to watch the Royal Wedding on large screens and drink Hattingley’s Classic Reserve, Rose 2014 and also the Blanc de Blancs 2011 which was saved especially for this event. It was the first time that many of the guests had tried and English wine and they uniformly loved the range, great for us and the English producers in general. We then took part in three Grand Tastings where in excess of 750 guests attended on each occasion to taste our wines alongside around 100 other premium wineries. Again the wines were extremely well received, the positivity towards Britain and also to the wines was exceptional. The organisers did a great job and are a really lovely bunch, making the whole experience a memorable one, thanks Nantucket Food & Wine Festival!